Global March has had recent contact with member organisations in Pakistan GODH (which translates as “Mother’s Lap” in English), SPARC (Society for the Protection of the Rights of the Child) and the EPOCH Welfare Society. These organisations all focus on the rights and well-being of children in Pakistan, including child labour elimination and the provision of education, training and health services. All three have, along with their sister organisations in Pakistan and across the region and the world, been heavily involved in providing much-needed emergency services to the millions of people affected by the devastating floods in Pakistan. According to UN estimates, half of the more than 15 million people affected by the floods are children. Over 1,400 people have died and countless homes have been damaged or destroyed. The prevailing socio-economic conditions, along with floods, have exacerbated the living conditions of all those residing in the affected districts. The majority of those affected were already living in poverty and the floods have taken away the little they had. Of particular concern to our members in Pakistan is the situation of women and girls who, due to cultural constraints, are sometimes not able to access basic services or humanitarian aid. The flooding itself created a humanitarian crisis of extreme proportions and the response by not only the international community, but also communities small and large all over the world has been phenomenal. More aid is required, of course, and the UN and international aid agencies face the significant challenge of coordination of aid and its distribution to ensure that those affected can get access to what they need to survive. However, as the aftermath of the disaster sets in, new dangers and challenges loom over the region and need to be pre-empted through decisive, collective and sustained action. These dangers often arise as families become separated and the scale of looking after so many homeless victims is so huge as to be difficult to manage in spite of the fantastic efforts of those involved. In addition, vital basic services are very difficult to provide on the scale required, particularly health, social protection and, in the case of children, education. GODH has informed Global March of its extreme concern at the potential dangers posed to children and vulnerable families in terms of trafficking. According to human rights expert, Dr Tahmina Rashid, human trafficking was already a very real threat before the flooding and now, as the monsoonal rains threaten further south, more people stand to be affected by trafficking. There are predators in this world who take advantage of terrible disasters and the chaos that ensues. Linked to the potential threat of trafficking is the likelihood of children falling prey to situations of child labour in all its forms, particularly in cases where children may have become separated from their families and friends. The commercial sexual exploitation of children trafficked away from the flooding areas is a major concern for the UN, domestic and international organisations, relief agencies and the authorities. However, keeping in mind that many families were living in poverty before the floods and with lack of access to much needed services and the wherewithal to survive, it is highly likely that children may be pushed into situations of child labour. Children may be able to contribute to the survival of their families through their work or, indeed, may have to fend for themselves or their younger siblings. In the light of the enormity of the destruction caused by this natural disaster, the recovery period will be long and arduous and these dangers will not diminish as time goes on. Indeed, they are likely to increase and future generations will also be affected. It is vital that the UN and the international community focus their attention on the recovery process, including that of economic recovery to ensure that families may avail themselves of decent work opportunities to provide for themselves and protect their children. Inevitably, education services and infrastructure have been severely damaged and disrupted by the flooding. According to GODH, initial reports indicate that there are over 300,000 children whose schools have been damaged and a further 300,000 children approximately whose schools have been converted into shelters. About 5,500 schools, some of which were already in poor condition prior to the floods, have been converted into shelters for local population. As the summer vacation period ended in most parts of Pakistan by mid- to end-August, the continuation of schooling for approximately 6 million children remains a huge challenge. As well as the significant problem of access, there are other health-related issues to be taken into account as affected children have undergone severe trauma in being displaced from their homes and witnessing loss of lives and livelihoods around them. A large number of teachers have also been directly affected and displaced which will have a further impact on the capacity of the system to deliver education services. use schools as a point of entry for inoculation efforts against cholera and typhoid, to prevent and treat other diseases and provide critical early childhood development activities, such as parent training and guidance, pre-school programmes and transition to school. Global March member Education International (EI) has already mobilised a significant support programme for Pakistani teachers and children in flood-affected areas. With EI’s help, three Pakistani teachers’ organisations will support thousands of educators who lost their homes and personal belongings in the disaster. They will provide up to 30,000 victims with aid supplies, including clean water, clothing and tents. According to EI, there are an estimated 100,000 teachers in need of humanitarian aid. The Pakistan Teachers’ Organisations’ Council (PTOC), the All Pakistan Government School Teachers’ Associations (APGSTA) and the Central Organisation of Teachers (COT) will use their extensive national networks to distribute aid. The humanitarian aid programme, for which EI has opened a solidarity fund, will be coordinated by the All Pakistan Trade Union Congress (APTUC), an affiliate of Global March member the International Trade Union Confederation (ITUC). The programme will also include health care services and trauma counselling for more than 1,000 victims. Addressing teacher union leaders during a mission to Pakistan in August, EI General Secretary Fred van Leeuwen emphasised that: “This programme is more than a token of solidarity with our teacher colleagues in Pakistan. Teachers will play a significant role in Pakistan’s recovery from this crisis. They will be setting up schools in refugee camps and providing education in affected areas, so it is crucially important that we help teachers get back on their feet as quickly as possible.” He encouraged the Pakistani teachers’ organisations to urge public authorities to start developing education rehabilitation programmes as soon as possible. The ITUC has also remained in close contact with its Pakistani affiliates the Pakistan Workers’ Federation (PWF) and APTUC since the onset of the floods. The PWF is providing food, clothing and clean water to victims via its regional organisations in Khyber Pukhtoonkhwa (formerly North West Frontier Province), Southern Punjab, Interior Sind Province and Balochistan. 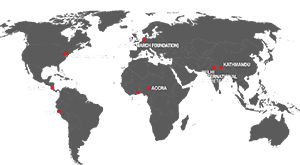 Funding for the PWF humanitarian action has been raised from donations by its membership across the country, supplemented by a contribution from the ITUC Asian-Pacific Regional Organisation, and the Federation is continuing to raise funds for distribution via special regional committees set up for the purpose in the different provinces. These acts of solidarity are crucial in the reconstruction process and they are examples of widespread solidarity through the Global Union Federations, international civil society organisations, trade unions, religious, youth and community organisations, and many, many others. The level of destruction in Pakistan is such that it will inevitably take many years to recover and continued global solidarity will be vital in the forthcoming months and years. Global March welcomes the outpouring of international support and humanitarian aid for Pakistan in its time of need. Many of its members and partners have been involved in fund-raising and humanitarian activities worldwide for the flood victims and, no matter how small, all of these efforts combined are making a considerable difference. The immense difficulties facing the country in the aftermath of the floods are compounded by the challenge of ongoing insecurity in some parts of the country. As the period of recovery enters its early phases, Global March urges the international community and Pakistani authorities to pay particular attention to the educational needs and expectations of the affected children by working closely with teachers, their organisations and other relevant actors, including district education authorities, and to equally focus their attention on protecting these children from all forms of exploitation so that they can continue to benefit from their fundamental rights.